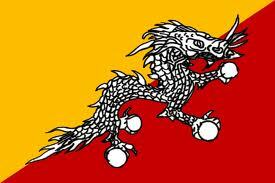 We can learn from Bhutan, oh, yes! I have just finished a book The Rational Optimist by the international best seller Matt Ridley. He was interviewed briefly by Mark Colvin on Radio “Notional” in May. At the time, it came as a shock to see such optimism about the environment and human progress overcoming problems like climate change being promoted by the ABC. Ridley’s book is really an ideal primer for the economically illiterate. Just last Wednesday in The Australian there was a curious piece by Jeffrey D. Sachs, Professor of Economics and Director of the Earth Institute at Columbia University, about how successful Bhutan had been in the happiness stakes. Of Bhutan, he sees a “Himalayan kingdom of unmatched natural beauty, cultural richness, and inspiring self-reflection”. He seems to have a collection of the rose tinted glasses that Ridley talks about in The Rational Optimist, where so many of the rich from West are “in love with mud” and can only see good things in their visits to third world squalor and poverty, complete with smiling peasants. Sachs goes so far as to suggest that “the kingdom’s thoughtful attitude towards development should inspire the West”. It sounds somewhat like the advice that some of our home grown intellectuals gave to us about Hugo Chavez in Venezuela. To better understand Professor Sach’s bent, it is important to note that he is also Special Adviser to the United Nations Secretary-General on the Millennium Development Goals. This entry was posted on September 25, 2010 at 15:08 and is filed under Uncategorized. You can follow any responses to this entry through the RSS 2.0 feed. Both comments and pings are currently closed. Some people in the rich West believe that money has nothing to do with happiness, since they have plenty of money and don’t think they’re terribly happy. They might ponder how happy they’d be if they actually had to endure the deprivation of the average Bhutanese. Less than 20 years ago, about one sixth of the entire population didn’t find Bhutan a very happy place to inhabit. Now, having escaped cultural persection, they are in refugee camps in eastern Nepal. Hardly happy campers. Perhaps that is the kingdom’s “thoughtful attitude towards development”.